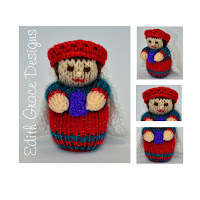 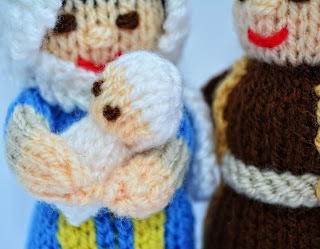 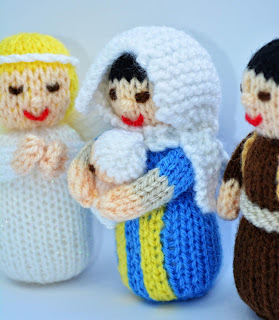 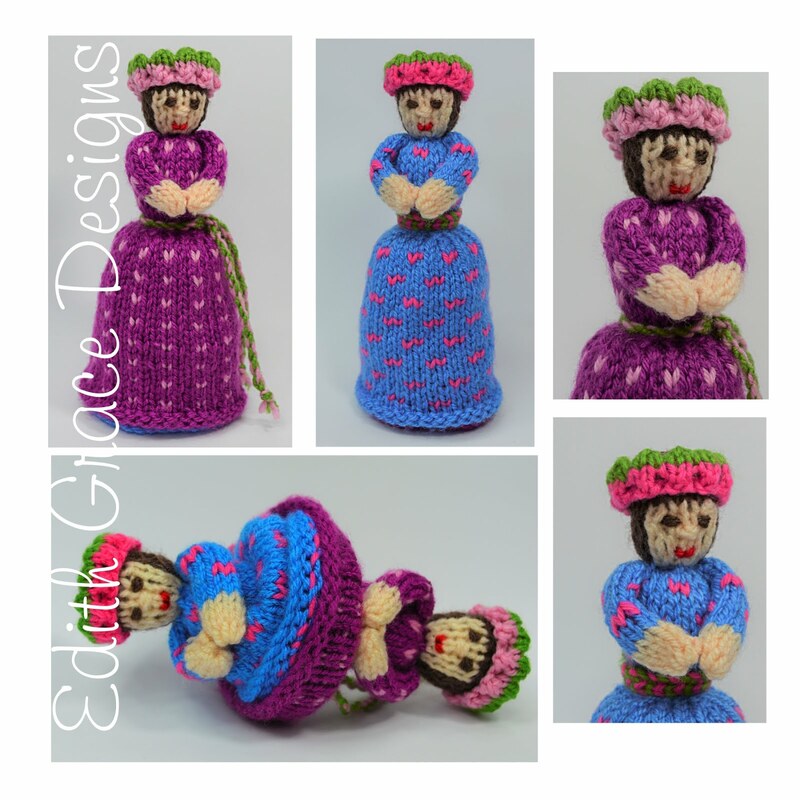 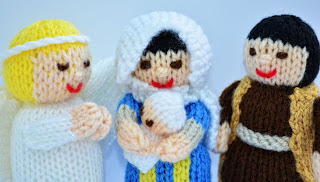 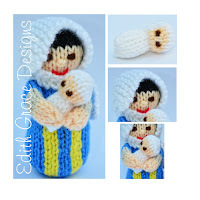 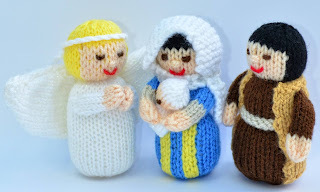 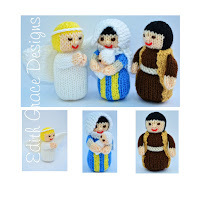 Here is Angel Gabriel, Mary, Joseph & Baby Jesus Dolls. 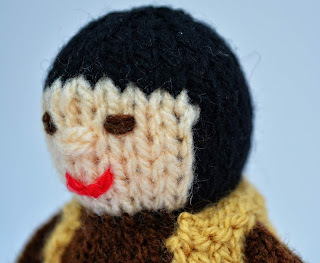 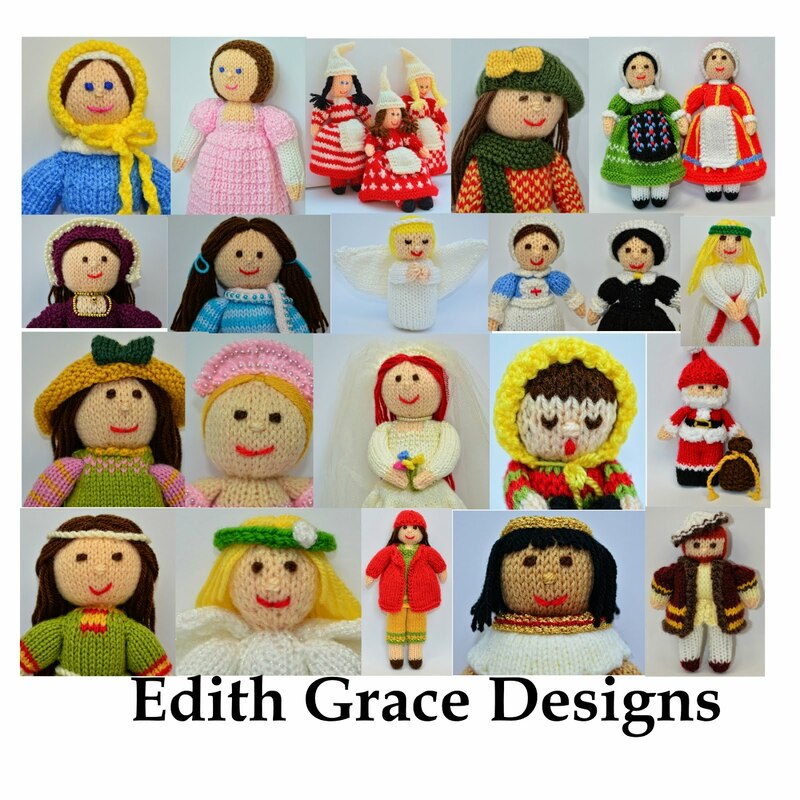 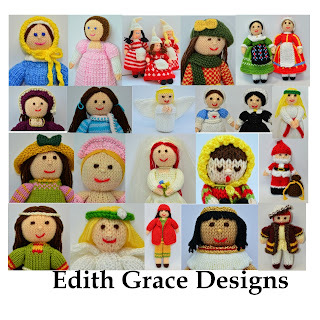 They are 13cms tall, knitted in Double Knitting Wool & Worked Flat. 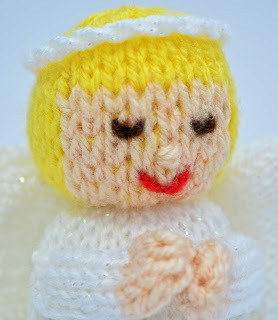 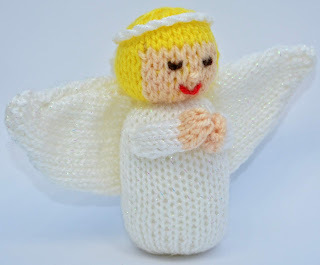 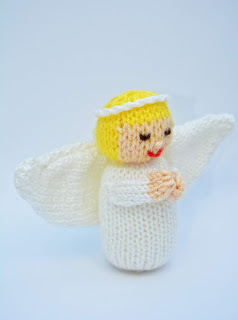 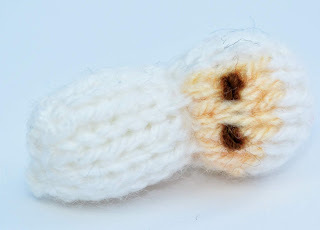 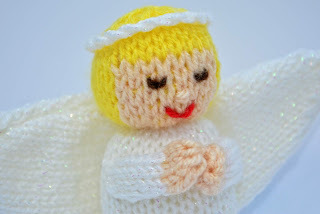 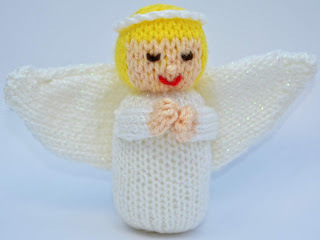 The Angel is knitted in Sirdar Snuggly Pearls DK which gives a little sparkle. 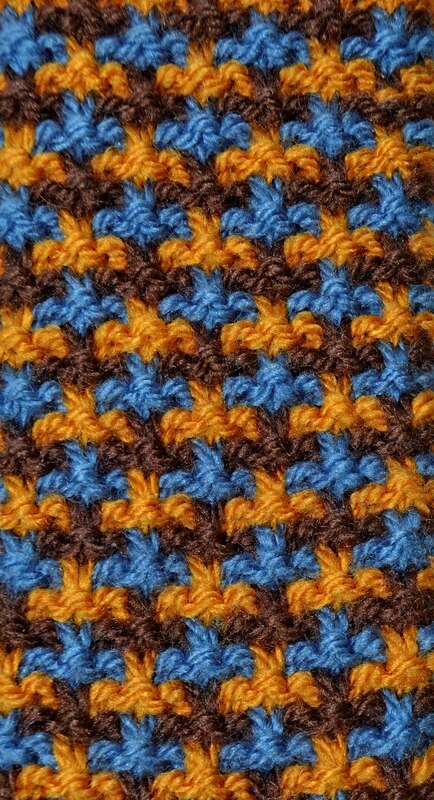 I have also used Hayfield Bonus DK. 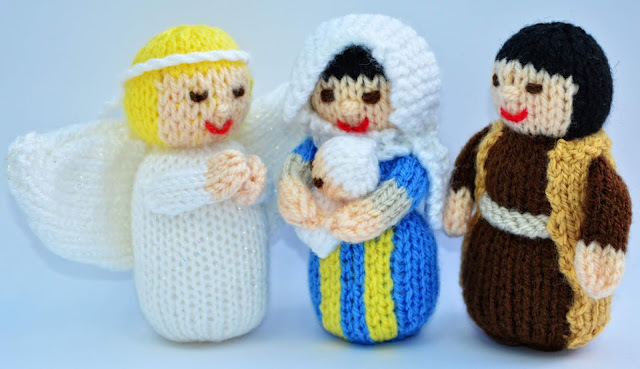 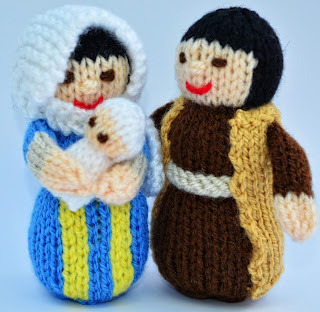 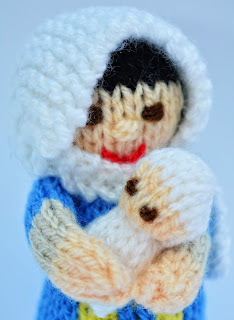 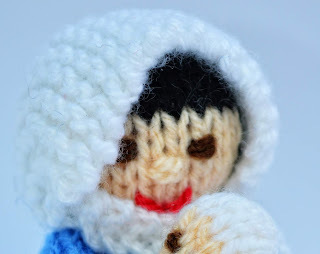 Mary has been knitted in blue, with a little colour in the skirt, as was worn by Hebrew women during this time. 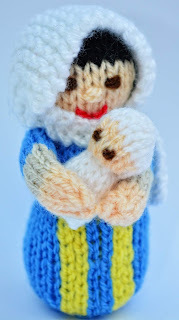 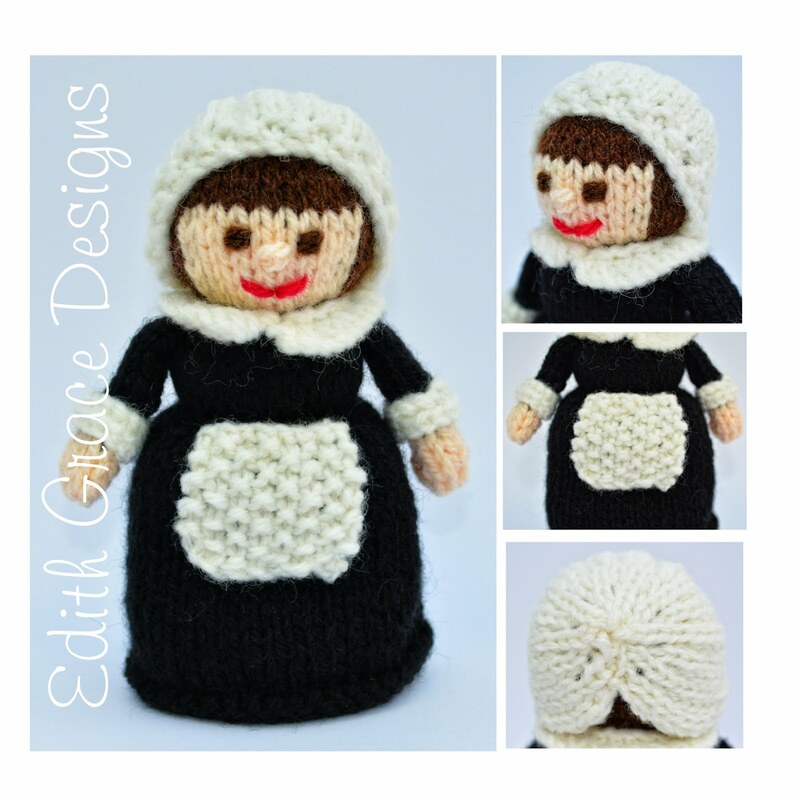 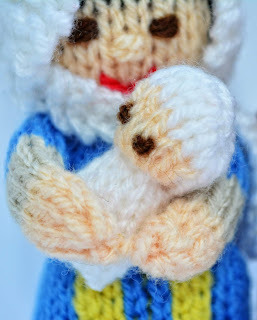 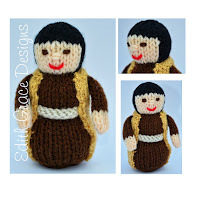 She also has a head shawl & of course carries Baby Jesus. 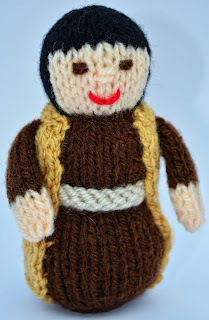 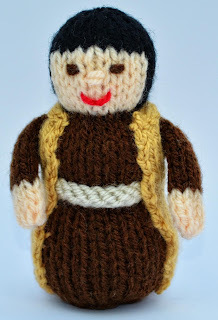 Joseph is wearing the natural colours as worn by Hebrews of that time. 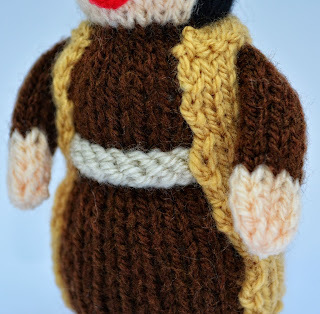 He has a tunic, waist band & over coat. 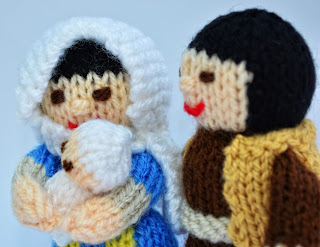 Finished December 2014 - Merry Christmas and a Happy New Year!